Carpet Cleaning, Rug Cleaning Services Auburn and Opelika AL. Is your carpet, area rug, Oriental rug or upholstered furniture looking dull and lifeless? Regular cleaning can maintain the overall look of your home, but a deep clean by professionals breathes new life into your most treasured pieces and gives your carpet that sumptuous look it had when it was first installed. Dry Cleaning - Phenix, AL. Persian and Oriental area rug cleaning - Phenix, AL. Hardwood and laminate floor cleaning and buffing - Phenix, AL. Commercial cleaning - Phenix, AL. Wood furniture and upholstery cleaning - Phenix, AL. Steam cleaning - Phenix, AL. Water damage repair - Phenix, AL. Affordable Carpet Cleaning uses an environmentally safe, eucalyptus-based cleaner. The chemical binds to any solids or solutions (like red mud, pet stains, blood, etc.) in the carpet and encapsulates them for removal with our scrubbing technique. A standard 3 bedroom house cleaning takes about an hour in most cases. Carpet is usually dry within an hour after cleaning. Your carpet is safe to walk on during that drying period, if necessary. Since there is no water or steam involved in the process, there is no risk of tracking and re-soiling the carpet while it's drying. If you want Auburn & Opelika, AL, carpet cleaners who are dedicated to their work and complete every job to a high standard of quality, choose Affordable Carpet Cleaning. Clients throughout the area come to us when they want professional service they can trust. We work hard to deliver the highest standards of workmanship in our industry at affordable prices. Our family owned and operated company in Auburn & Opelika, AL, knows how to work efficiently and can complete any project, large or small, in a punctual manner. After you call us, we'll send someone to assess your situation right away. Our team has experience with a wide range of carpets, including rugs. We've done commercial cleaning and can handle large-scale projects with ease. Our Auburn & Opelika, AL team is skilled at steam cleaning, rug cleaning, pet odor and stain removal, as well as carpet drying and recovering rugs from water damage. When you are looking for Auburn & Opelika, AL, carpet cleaners that you can trust, choose Affordable Carpet Cleaning. We are a family owned and operated company that serves clients throughout the greater Auburn & Opelika, AL, area. We are a small operation that handles many large accounts, and we are fully licensed and insured in the state of Alabama. To find out more about our services or learn about our competitive pricing, call our office today! Vacuuming your carpets on a regular basis is an essential component of keeping your floors well-maintained. But for a true deep clean, it's best to schedule a professional steam cleaning of your carpets at least once a year. At Affordable Carpet Cleaning, we offer quality carpet steam cleaning services for residential and commercial customers alike. At Affordable Carpet Cleaning, we work hard to exceed our customers' expectations. Our team of professionals is equipped to get your carpets looking their best. Our deep-cleaning methods are designed to remove dirt, grime, and allergens to improve the look of your carpet while making your interior a healthier, safer place in the process. We pride ourselves on our attention to detail and consistently reliable service; and we're ready to show you why it pays to invest in our carpet cleaning services. To learn more about the benefits of steam cleaning or to schedule an estimate for your home or business, call Affordable Carpet Cleaning today. End your search for an Auburn & Opelika, AL, home flooding service. At Affordable Carpet Cleaning, we've had years of experience assisting Auburn & Opelika, AL, residents in putting the pieces back together after their property floods. Our dedicated team will work efficiently and meticulously to recover as many of your possessions as possible. We offer emergency services to all of our customers so that we can be available to start the recovery process as soon as possible. Many of our clients in Auburn & Opelika, AL don't realize how many of their belongings can be preserved after water damage. Time is of the essence when it comes to floods, however. The sooner you can get the professionals in your house after the damage has occurred, the more likely it is that we can preserve the majority of your things. We're a full service company that knows how to prevent further carpet damage as well as how to effectively clean even delicate rugs. In addition to our flood recovery services, we offer residential and commercial carpet steam cleaning as well as carpet drying services, and we can remove pet odor and stains. 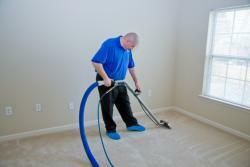 For Auburn & Opelika, AL, home flooding service from a company you can trust, contact Affordable Carpet Cleaning. We have years of experience assisting clients when they need us most in Auburn & Opelika, AL. Our team knows how to work efficiently and with deadlines, which is why we handle so many large commercial accounts. We are happy to also provide services to retail stores. To find out more about our highly skilled team or to receive your free estimate, call our offices today. As a pet owner, you may have resigned yourself to smelly, unsightly carpets. But if you're serious about maintaining the state of your flooring, Affordable Carpet Cleaning is on hand to help. As an established carpet cleaning service in Auburn & Opelika, AL, we have the tools and skills to eliminate even the strongest pet odors and stains. At Affordable Carpet Cleaning, our pet odor and stain removal services are designed to transform your carpets and improve your interior on a whole. When you hire us, we'll take the time to assess the state of your carpets and then use our arsenal of tools and techniques to get rid of dirt, debris, and those unpleasant pet smells. We pride ourselves on our complete professionalism and attention to detail; and we go out of our way to keep our rates reasonable and affordable.